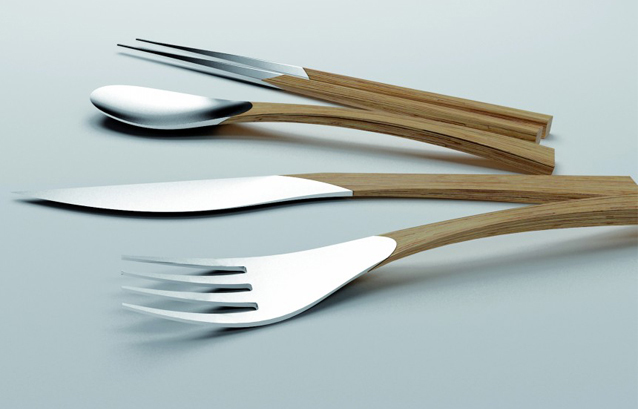 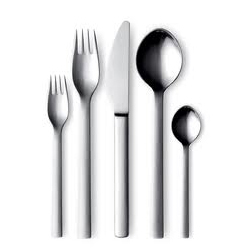 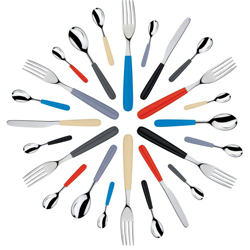 Feldgrau by Andrzej Nowicki at..
Why we love it: Released as part of Alessi’s Spring/Summer 2012 collection, this set of cutlery combines the playfulness of colorful plastic handles with a simple, finely executed continuity to the metal top end. 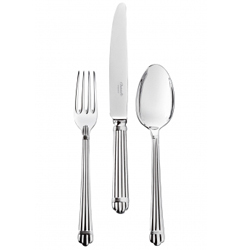 Why we love it: The deco-esque lines of this set of sterling silver flatware speak of the dramatic aesthetics of the early twentieth century – perfect for a decadently glamorous dinner party. 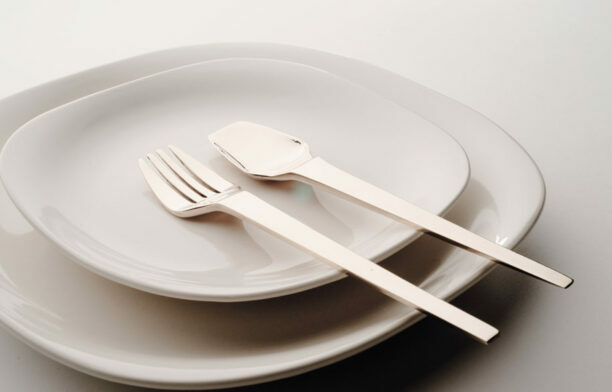 Why we love it: As clean and essential as their namesake, these utensils have an honest, robust attraction that speaks of hearty meals and engaging conversation. 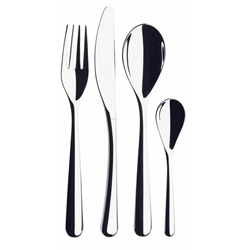 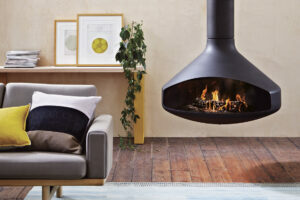 Why we love it: All gentle curves and fluid volumes, the handles of the Piano range slip seamlessly into the hands while the polished finish creates a crisp, elegant aesthetic. 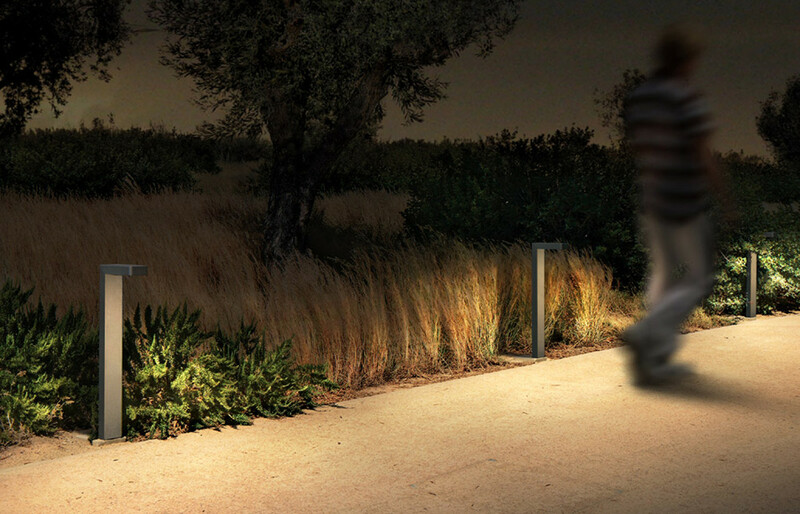 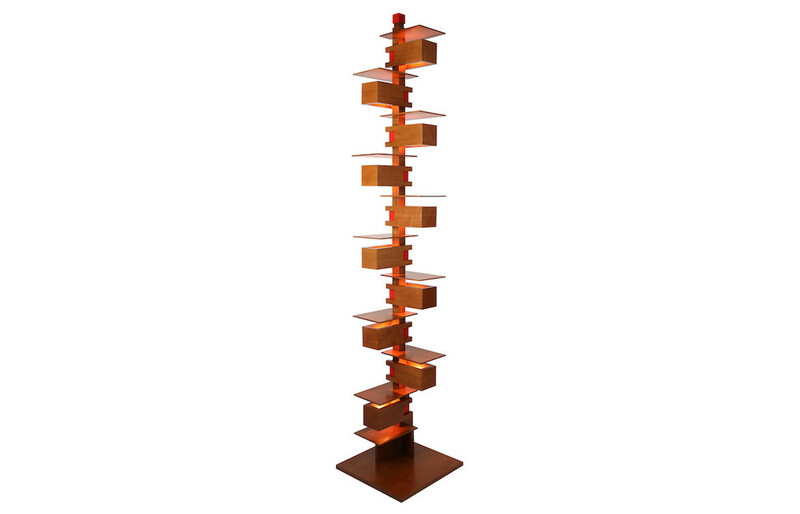 Why we love it: Elaborating a single plane into the organic sweeps of these pieces plays on the perception of two-dimensions while allowing the mass of each to hang below it. 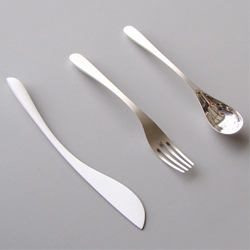 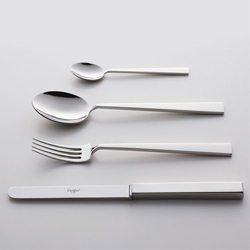 Coupled with the combination of slver finish for the spoon and fork and Zirconia for the knife this makes Shape/Form a captivating set of cutlery. 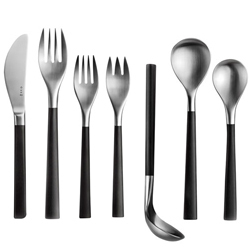 Why we love it: The bulbous, matte steel top ends of these utensils make a harmonious counterpoint to the sleek ebony of the handles – refined and warm on the skin. 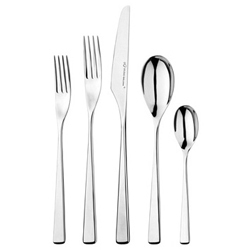 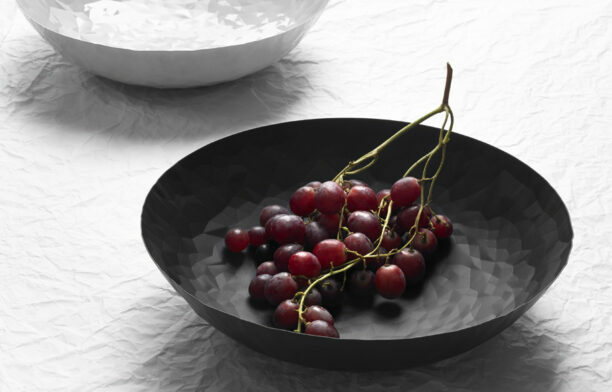 Why we love it: The extended lines and subtle angularity of this set of flatware create a sophisticated, minimalist feel that evokes quiet elegance.